Fire To Destroy. Fire To Create. 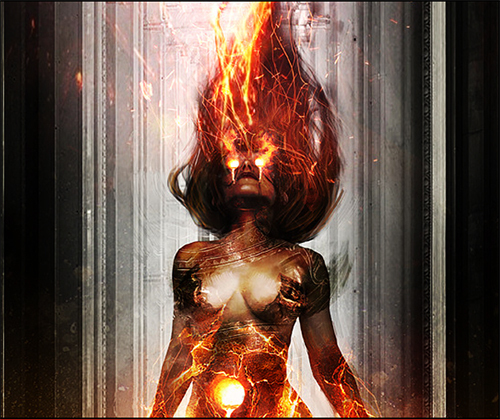 Journey into Nyx has arrived, it’s prerelease Friday, and new brews are upon us. 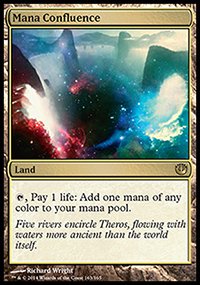 This set has almost as many interesting cards as Theros, and I’m going to outline some of them here as well as introduce you to the deck that I have been doing the blunt of my testing with online. If this doesn’t get the juices flowing for a Red mage, I don’t know what does. His power level remains to be seen, and I believe he’ll be very build dependent, but make no mistake, this card is for real. Adrian Sullivan has already slotted a playset of him into his RW Devotion list that he posted on Starcitygames last week and I’ve been testing him as both a playset and singleton in Mono Red and GR Aggro. His stats initially make you want to compare him to Two-Headed Cerberus, but this card is doing a lot more than that. For starters, he connects more often than some would think (especially with the assistance of cards like Ghor-Clan Rampager), and he creates difficult blocking situations for your opponent. Many board states will present scenarios where blocking him isn’t an option, or where your opponent is losing value just to deal with him. If he ends up connecting, you’re usually getting to play multiple spells or a land which is huge in an aggro deck. I’ve consistently seen his exile ability in testing prove to be valuable, and you’ll see that in one of the videos with this article as well. The biggest knocks on him are that he does die to a fair amount of removal in the format and that he has heavy competition at the three-drop slot. I don’t think either of those complaints are unwarranted, which is why he isn’t good in every deck, but you can get around those restrictions. In most lists that have used him well so far, he’s basically Boros Reckoner #5, 6, 7, and 8. Yes, you lose the speed of Phoenix, but you gain a card that is arguably just as valuable if not more-so against control, and he’s another threat that stretches their removal. Playing him on an empty board against Esper, for instance, means that you don’t really need to commit much else most of the time. If you’re worried about Verdict, you can just keep attacking with him and playing free lands and spells. If they do pull the trigger on removal, you not only got that out of their hand but if he was able to get you cards from it you may be ready to dump the rest of your hand and counteract. That’s usually the best way to fight control, so he serves that purpose well. He’s not a great card when you’re behind, and he’s not great in a hyper blitzy shell that doesn’t have any pump spells for him. Those are two decks I’d avoid when considering him, as he’s just a liability at that point. Unlike Reckoner, he can’t hold down the fort if they have some giant monster on board, and in the blitz decks he’s maybe ok as a one-of but he’s pretty slow otherwise. Yes, he gives you late game gas, but most blitz decks aren’t trying to play for a late game. I believe that he works well in Adrian’s shell because of the explosiveness of Nykthos, which allows you to make up for his slower speed. That, and the option of playing him with a Hammer of Purphoros out which could surprise a lot of unprepared opponents. 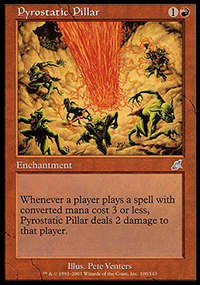 Pyrostatic Pillar saw a little play in the sideboard of Legacy Burn for a good period of time, and I think Eidolon might as well. Outside of that, I don’t think this Standard format is going to use him. We don’t have the abundance of free and one-mana useable spells in Standard that we do in Legacy and Modern, so this guy has backfired in most of the games that I’ve played with him or against him. If anything, I could see him in a Red devotion deck since a lot of your spells are above three. But even there he’s a big liability against Aggro and any deck you’d be siding him in against would probably just “eat a shock” to deal with him which isn’t a huge upside. 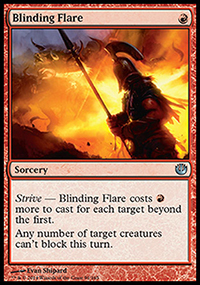 Blinding Flare straddles the playability line because of the fact that it’s not direct damage or a permanent threat, but there’s still a good amount of value here. So far in testing, all of the Strive cards that I’ve seen played have been a dagger when cast. The ability to make your whole team unblockable for an amount of mana that isn’t too expensive even for an Aggro deck could mean that this format is in for some more turn 4-5 kills than usual. You’ll need to watch the numbers that you play as you’d never want to have two in your hand, but I could easily see this as a 1 or 2-of in the 75. These cards typically don’t see a lot of action, but maybe it’s time for that to change. 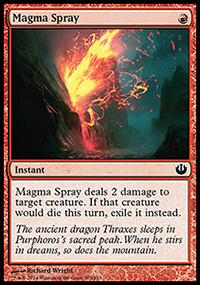 When Magma Spray was previously in Standard, it was heavily used in Mono Red. With how efficient Control decks are these days, I don’t know if you can afford to run a lot of the card in your maindeck, especially since Searing Blood is usually the better card in its place, but this is still a spell that probably makes a dent again. I’ve seen an immense amount of Voice of Resurgences floating around online, and if that transfers over to paper, this will be a must. It’s one of the tougher cards for my Aggro builds to deal with so far. Magma Spray also answers Chandra’s Phoenix, which sees a good amount of play, and Xathrid Necromancer which looks to be popular in a BW shell. Time will tell, but I think this card will have another day in the sun. One of the first things I do when looking over a new set is to try and find out what “Threaten” card they printed for Red. Almost every set prints one, and it’s one of the most important pieces to a good Red deck. It’s that moment when your opponent thinks that he has dreamcrushed you into oblivion, only for you to rip away the hope on his face and deliver yours back with a beating. 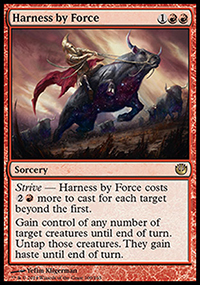 While I wish that Harness by Force was Traitorous Blood, it’s still much better than Act of Treason since every once in a while you will hit the mana to steal multiple creatures. And in a deck with Nykthos, this thing could potentially be Insurrection. Also don’t forget, you can always gain control of your own creature and give it haste. That play comes up a decent number of times in longer games, and could mean the difference. 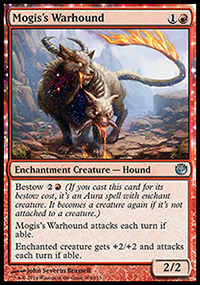 Mogis’s Warhound might see heavy play coming up. I unfortunately haven’t been able to test it that much, I had it in a few lists but didn’t see it in games often. It looks great though, you get a grizzly bear which is already something Red is fine with, and you can’t get blown out when you cast it or when your creature dies. 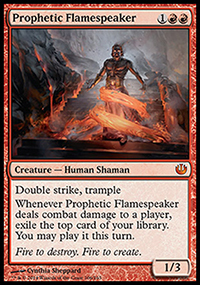 I might try a few in my GR Aggro deck and see how they do, because the possibility of putting this guy on a Boros Reckoner or a Prophetic Flamespeaker feels like living the dream to me. Red’s not exactly in the market for a three drop, which is essentially what he is, but he could very well replace “non-creature” spells in the deck and add to your creature count in the process. Most of my time this “preseason” has been spent working on a Gruul or GR Aggro deck. GR Aggro was a very powerful force in Standard not too long ago, and I always wanted to play it back then but didn’t have the lands. I felt that the extra reach it had over Mono Red with Ghor-Clan Rampager made it one of the most difficult decks to play against. The rotation of Rootbound Crag and the entrance of Temples took away the consistency that it had though, and the deck fell off the map. I realize this isn’t easy on the wallet, but if you want to play Red splash anything, or even Standard in general, buy a playset. I could see it going down in value a little bit, but I think this card is being severely underrated by a large number of players. And for me, this was the key cog in getting GR Aggro working again. I needed a foundation for a list, so I went back and read through one of my favorite Magic articles of all time, Gruul Get Win! by Steve Kaufman. One of the reasons the article was so fun to read for me was that Steve was just a normal guy and actually took the time to make his tournament report entertaining. He played a strong list, he won an SCG Open, but he was slandered by many “pro” players in the comments section because they felt that his writing wasn’t indepth enough or grammatically sound. I’ll give them that the report has some casual elements to it, but I thought that Steve executed it perfectly. The cave paintings are hilarious, the emotion of the tournament was felt when reading it, and at the end of the day he put up an exciting performance. As I was reading through the comments section, and trying to not rage over the slander he was getting, I noticed that one of the players said he had passed away in a fatal car accident and left behind his fiancee and a one year old child. I don’t typically get too emotional over stuff, but having lost loved ones myself and seeing all the bullcrap that was posted alongside of this made me want to do something, even if small. That something was making the decision that rain or shine I was going to work hard on making Gruul smash again. Early results were very good, but there were definitely numbers and cards I had to change. I started doing a lot of experimentation, and I came to a few big revelations. First, I needed more disenchants because this format is going to have a lot more enchantments and artifacts running around. 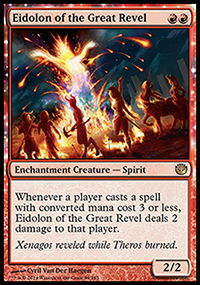 For an aggro deck, it doesn’t get much better than Destructive Revelry, and the card has been phenomenal so far. It doesn’t kill Gods, but you still get to deal them damage and I think that part is significant enough that it’s worth playing it over alternatives like Unravel the AEther. Fanatic of Xenagos is aggressive, but giving your opponent choices is usually not good, and he just felt like he wasn’t adding anything to the deck other than another creature. I started off by trying four different cards in his slot; figuring that I would adjust the numbers as needed once I knew what I liked. In the end, or at least right now, it turned out that I actually liked having a bunch of singletons because it gives this deck a lot more play and reach and keeps your opponent off guard.